Full Resolution JPEG of this image (1 Mbytes). Perspective View created from USGS topographic model and Viking color image shown above. 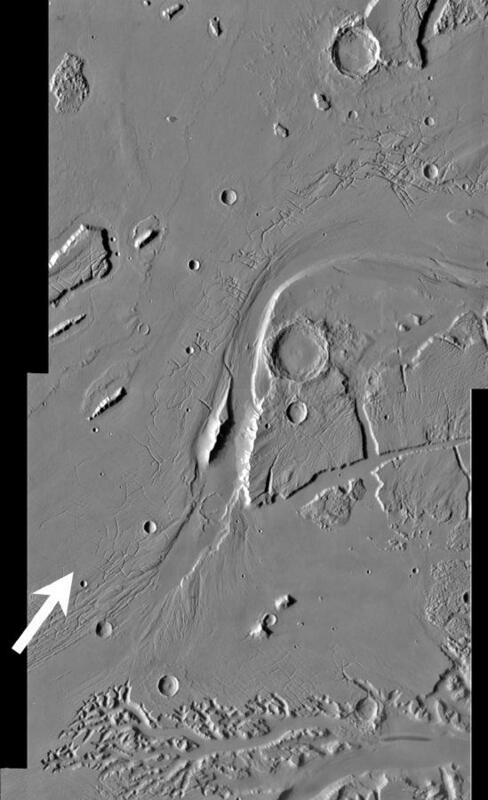 The topographic data was exaggerated by a factor of 2x, despite this exageration note the relatively small amount of topographic relief (0.5 Mbytes). Viewpoint of image is from northwest. 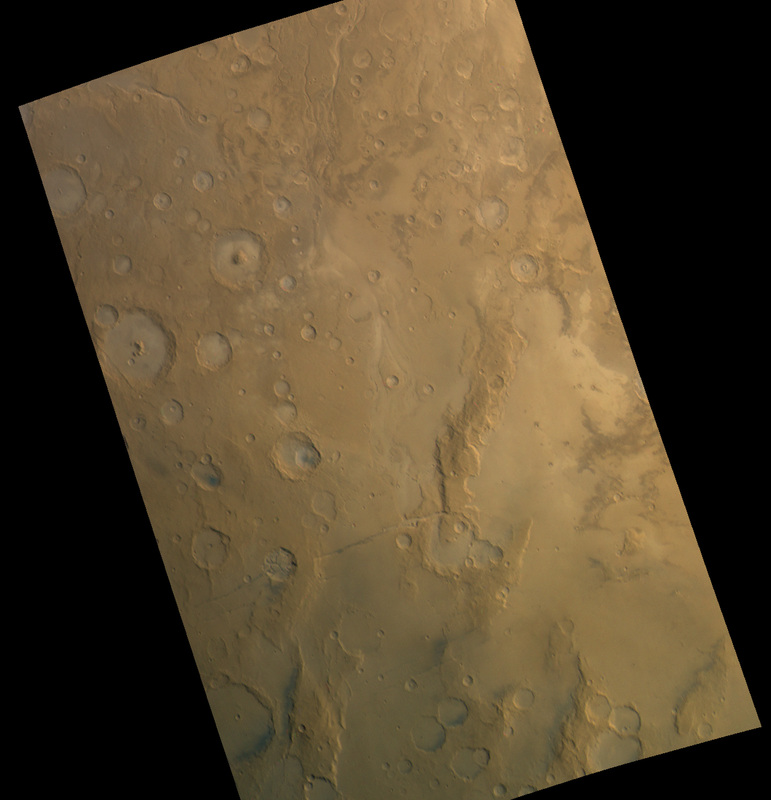 Full Resolution TIFF of this image (2.4 Mbytes). 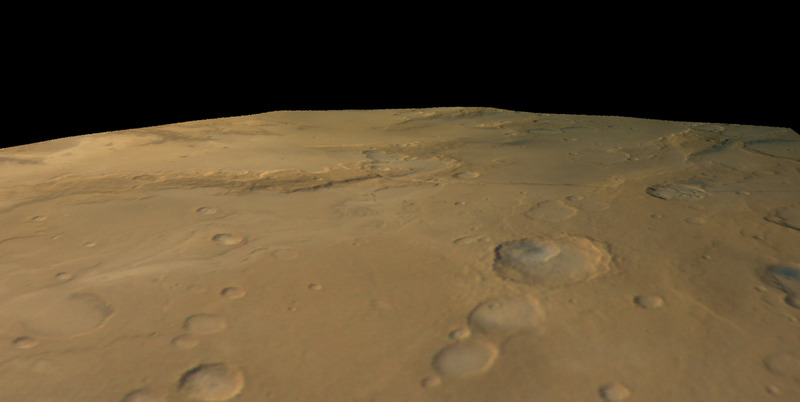 Perspective View created from stereo/photoclinometry topographic model and Viking mosaic shown above. The topographic data was exaggerated by a factor of 2x (0.8 Mbytes). 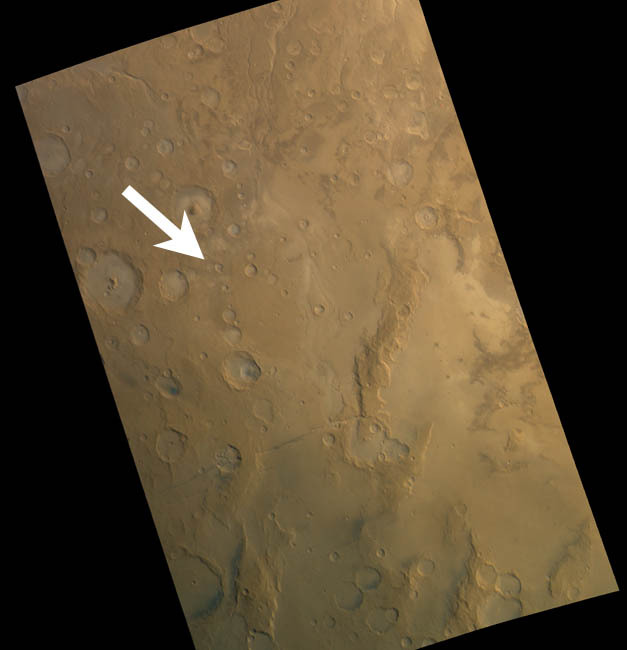 Viewpointof image is from middle left of mosaic.